13.07.2018: Canadian racer Alex Tagliani will rejoin Young's Motorsports for Round 17 of the NASCAR Camping World Truck Series (NCWTS) at Canadian Tire Motorsports Park in Clarington, Ontario, Canada. 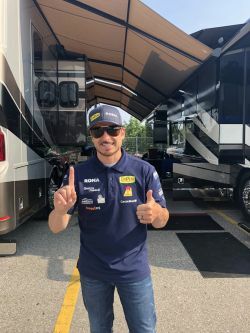 Canadian racer Alex Tagliani will rejoin Young's Motorsports for Round 17 of the NASCAR Camping World Truck Series (NCWTS) at Canadian Tire Motorsports Park in Clarington, Ontario, Canada. The Chevrolet Silverado 250 will be the first race of the NCWTS Playoffs and will take place on Sunday, August 26 at the 2.459-mile (3.957 km), 10-turn road course located 50 miles (80 km) east of Toronto, Canada. "I am so excited to have Alex back in one of our Trucks, especially at a road course" said team principal Tyler Young. "This go around he will be in our No. 12 Chevrolet Silverado. I think the fans will be excited to see Alex back in a Truck in Canada." Pleased with Tagliani's inaugural performance in the Young's Motorsports No. 02 Chevrolet Silverado in last year's race at CTMP, Young reiterated his faith in the road course specialist by once again calling on him to compete in Canada. 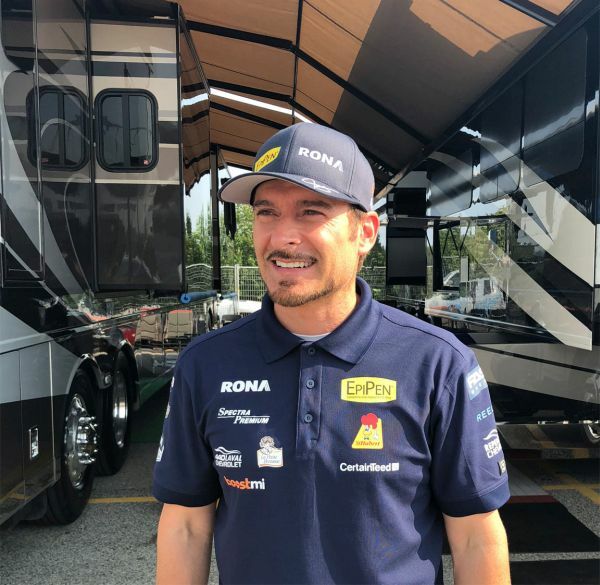 After closing a last-minute deal with the team in 2017, Tagliani moved from an 11th place starting position, to sixth in Stage 2 of the 64-lap race before encountering a fuel pick up problem. "I am very pleased with this early call," said Tagliani. "I now know that the team is really aiming for top honors in the Canadian race. This additional lead time will enable me to work with Young's Motorsports crew chiefs to find the best settings for their trucks on road course events. I would be delighted to compete in more Camping World Series races in 2019. Let's see if we can achieve that goal." Currently competing in Canada's NASCAR Pinty's Series, this will be Tagliani's 12th career NASCAR national series start. In his previous 11 races in NCWTS and NASCAR XFINITY Series (NXS) competition, he has earned six poles, five top-five and six top-10 finishes, including earning a career-best second-place finish three times. His most recent American NXS event was at Mid- Ohio Sports Car Course in August 2015. Details on sponsorship and the Truck design to be announced at a late date.